This morning on Twitter I was asked about the possibility of editing the captions that are automatically generated by the Google Slides captioning tool. The question was raised by Michelle Joyce in response to my blog post about using the Google Slides captions and Screencast-o-matic to create flipped video lessons. 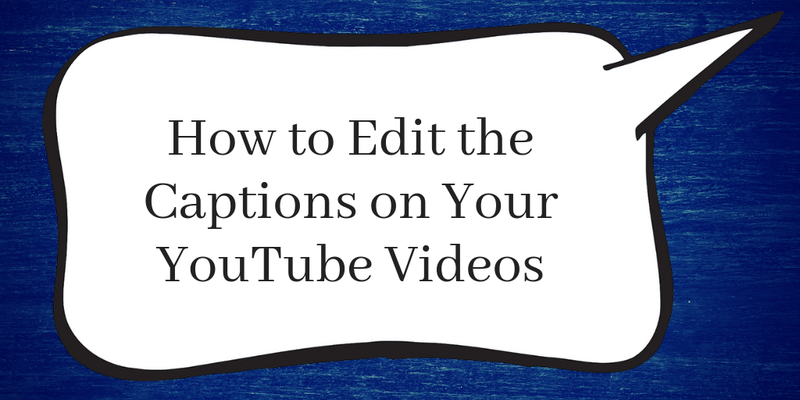 While you can't edit the captions that Google Slides generates, as Tammy Aiello pointed out, you can edit captions in YouTube. That inspired me to create a video to demonstrate how to edit the captions that are automatically generated for your YouTube videos.